The above lines were said by a certain #10 DJ in the world who was charged with completely blowing people’s minds in the city that never sleeps. 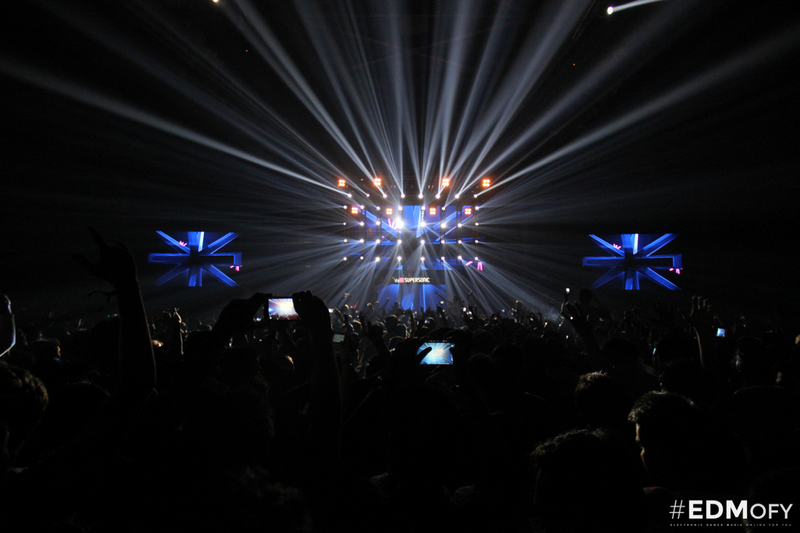 Most of us are familiar with international DJ’s coming to India and playing for a comfortable 5000 crowd. But Steve Aoki was different. He controlled every single person in the 9000 odd crowd at the NSCI Stadium here in Mumbai. 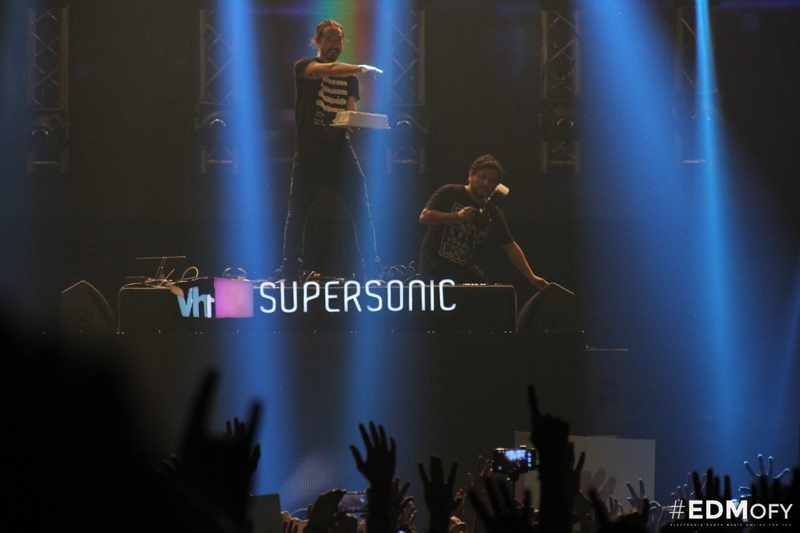 The opening duties of the night were given to Willy and Nawed Khan who charged up people with some bombing drops and started the rhythm of the night. By the time Nawed Khan reached the halfway of his set, there were more people outside than inside. Every one was lining up outside the entrance to witness the ultimate madman Steve Aoki. The stadium filled up by 9pm when Nawed Khan was at the peak of his set. He kept the energy going by playing hit vocals tracks like Hardwell‘s remix of ‘A Sky Full Of Stars‘ and ‘Demons‘ by Paris Blohm. People responded by singing along with almost all the songs. People kept chanting “AOKI!! AOKI!! AOKI! !” and definitely had lost patience. Though he chose not to travel the crowd in his rafts, he selected a lucky girl from his fans and and made her substitute him in the rafts. Also, one of the guy who got caked got the chance to ride the raft. 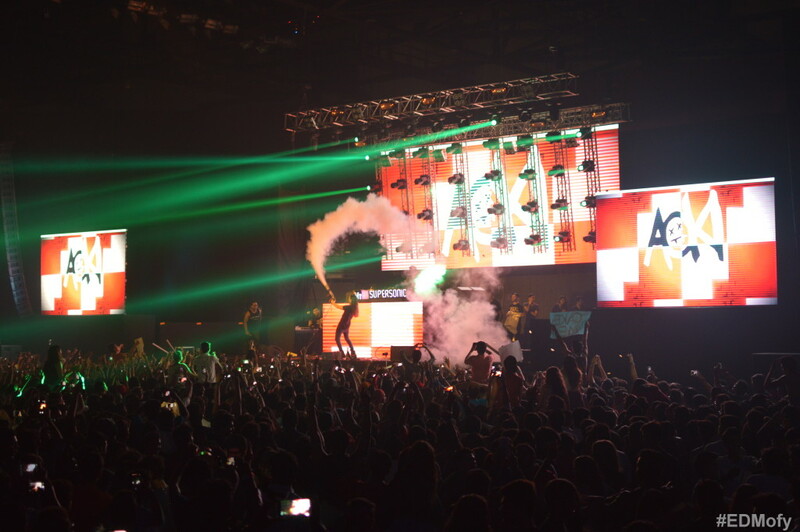 People chanted Aoki;s name and his songs like ‘No Beef‘ and ‘Afroki‘, his collaborations with Afrojack. ‘Freak‘, ‘Grindhouse‘, ‘Boneless‘ were other crowd favorite songs which Aoki dropped with no hesitation. ‘I Love It When You Cry‘, his recently premiered single from Neon Future II was supposed to be the last song for the night, but Aoki got back on the stage when he said ‘The Mumbai Police is being nice to him and letting him play one last song! !‘ Without any doubt, his last song was his most famous remix of Kid Cudi’s ‘Pursuit of Happiness’. Thousands of people knew the lyrics and sang along. 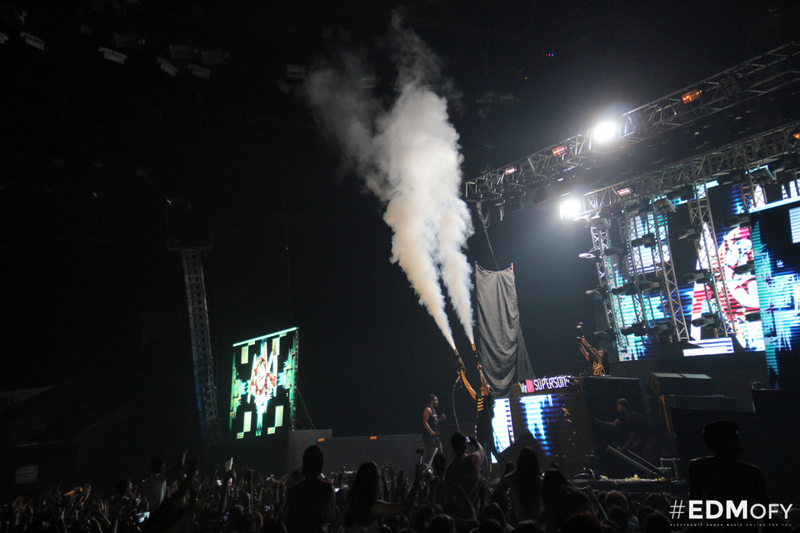 Aoki jumped on the stage with CO2 guns and ended the Arcade with the purest of bangs!